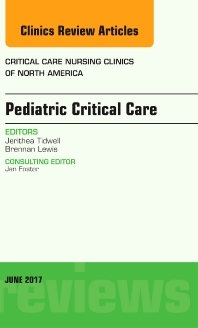 The Guest Editors have assembled expert authors to contribute current reviews devoted to critical care in pediatrics. The articles are devoted to Simulation and Impact on Code Sepsis; Cardiac Rapid Response Team/Modified Cardiac PEWS Development; Impact on Cardiopulmonary Arrest Events on Inpatient Cardiac Unit; Promoting Safety in Post-Tracheostomy Placement Patients in the Pediatric Intensive Care Unit Through Protocol; Innovation in Hospital-Acquired Pressure Ulcers Prevention in Neonatal Post-Cardiac Surgery Patients; Utilizing an Interactive Patient Care System in an Acute Care Pediatric Hospital Setting to Improve Patient Outcomes; Advances in Pediatric Pulmonary Artery Hypertension; and Creating a Safety Program in a Pediatric Intensive Care Unit or Assessing Pain in the Pediatric Intensive Care Patients to name a few. Readers will come away with information that is actionable in the pediatric ICU.